Ticket Deadline Tuesday, Sept. 11 at 5:00 pm. NO TICKETS AT THE DOOR. 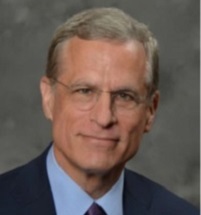 The Dallas Business Club, a consortium of 27 MBA alumni clubs, will host a conversation with Federal Reserve Bank of Dallas President Robert Kaplan, moderated by Hill A. Feinberg, Chairman & CEO of Hilltop Securities Inc. The conversation – one of the last public events before the Federal Open Market Committee (FOMC) meeting blackout – will address current economic conditions at the state, national and international level and how these economic trends will affect monetary policy. President Kaplan, a Harvard Business School alumnus, is a 2018 member of the FOMC representing the 11th Federal Reserve District—Texas, northern Louisiana and southern New Mexico. The FOMC reviews economic and financial conditions, determines the appropriate stance of monetary policy, and assesses the risks to its long-run goals of price stability and sustainable economic growth. President Kaplan and Hill Feinberg will discuss broad secular trends that are influencing the economy and take questions from the audience and media at the event. All registered attendees MUST bring a photo ID to the event. There are many people attending and all will need to be screened by Federal Reserve personnel, so please plan to arrive early. Regarding parking, click here for parking information. There is onsite parking, but it, too, is secure with only one entrance and exit. Plan for extra time. Additoinally, there are paid lots in the area. The Dallas Business Club invites you to the September Professional Networking Event hosted by Duke and Darden following the DBC Fed Event! Take the opportunity to network with your peers Thursday, September 13th from 7:00PM to 9:00PM. As Klyde Warren Park's signature restaurant and bar, Savor Gastropub is a hop, skip and jump across the street from the Federal Reserve. Light snacks will be available alongside a cash bar. Complimentary valet is included. See you at the event! Click to RSVP for Savor. List is due to the Federal Reserve, Tuesday evening. Deadline to purchase tickets is Tuesday, Sept 11 at 5:00pm. NO TICKETS AT THE DOOR. ** Credentialed media who RSVP to Juli Branson at juli@bransonink.com may attend for free. Registration deadline is 4 p.m. Wednesday, August 30. 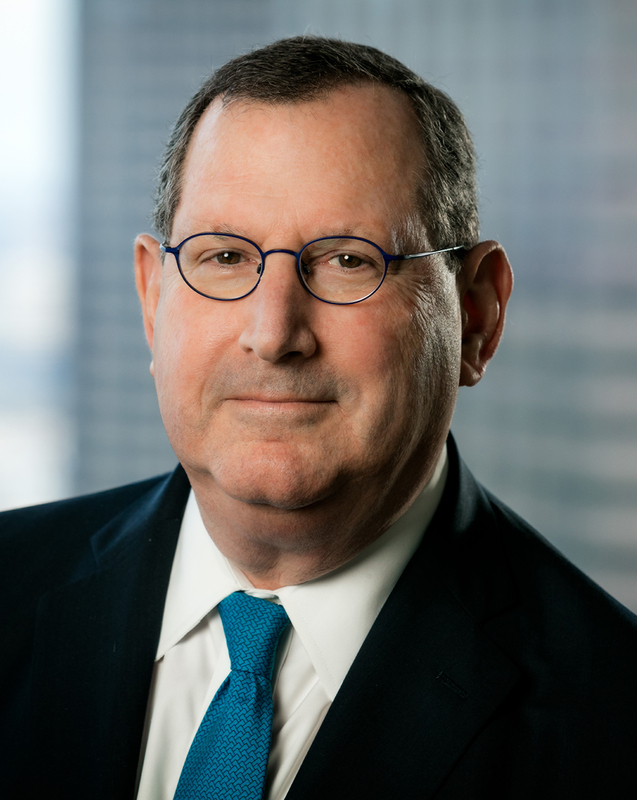 Robert Steven Kaplan has served as the 13th president and CEO of the Federal Reserve Bank of Dallas since September 2015. Kaplan was previously the Martin Marshall Professor of Management Practice and a Senior Associate Dean at Harvard Business School. Prior to joining Harvard in 2006, Kaplan was vice chairman of The Goldman Sachs Group, Inc. with global responsibility for the firm's Investment Banking and Investment Management Divisions. Previously, he served as global co-head of the Investment Banking Division. He was also a member of the firm’s Management Committee and served as co-chairman of the firm’s Partnership Committee and chairman of the Goldman Sachs Pine Street Leadership Program. He serves as chairman of Project A.L.S. and co-chairman of the Draper Richards Kaplan Foundation, a global venture philanthropy firm that invests in developing non-profit enterprises dedicated to addressing social issues. He is also a board member of Harvard Medical School. Hill A. Feinberg Hill Feinberg was named Chairman and Chief Executive Officer of HilltopSecurities in January 2016, upon completion of the merger of HilltopSecurities and First Southwest Company. He had served as Chairman and CEO of FirstSouthwest since 1991, and as a director of Hilltop Holdings since the acquisition of PlainsCapital in November 2012. He previously served as a director of PlainsCapital from December 31, 2008 (in conjunction with PlainsCapital’s acquisition of FirstSouthwest) to November 2012. Prior to joining FirstSouthwest, Mr. Feinberg was a senior managing director at Bear Stearns & Co. and a former Vice President and Manager of Salomon Brothers in the Dallas office. He is a past chairman of the Municipal Securities Rulemaking Board, the self-regulatory organization with responsibility for authoring the rules that govern the municipal securities activities of registered broker-dealers. He also formerly served as a member of the board of directors of Compass Bancshares, Inc. and Texas Regional Bancshares, Inc. He serves on the Advisory Board of the Center for Municipal Finance, Harris Public Policy at the University of Chicago and on the Client Advisory Council at BNY Mellon. His civic and charitable service includes chairing the board of directors of the Phoenix Houses of Texas and serving as board member of the Phoenix House Foundation. He is a member of the Baylor Health Care System Foundation Board of Directors, a member of the Board of Trustees of Southwestern Medical Foundation, St. Mark’s School of Texas, the University of Georgia Terry School of Business Dean’s Advisory Council and The University of Georgia Foundation. He is the past chairman of the corporate committee for the Senior Source. Mr. Feinberg received his bachelor’s degree in finance from the University of Georgia’s Terry College of Business in 1969, receiving the Distinguished Alumnus Award from the University of Georgia’s Terry College of Business in May 2008. After graduation, he joined the U.S. Army Corps of Engineers, serving as first lieutenant in Vietnam from 1970 to 1971. The DBC Federal Reserve Event is an annual affiar eagerly anticipated by the business community. Past events have attracted 300+ attendees, primarily from the financial industry or financial positions in corporations and other large organizations. We also have a solid representation of entrepreneurs. Dallas-based MLink Technologies® is an award-winning talent development solutions provider to global companies, designing custom on-line interactive learning and performance support programs. MLink helps each corporate client and its extended enterprise – partners and customers - optimize operational execution and human performance that build cultural, marketing and competitive advantages. MLink produces interactive eLearning, mobile learning, performance simulations, learning gamification, motion graphics (“explainer”) videos, how-to animations, live videos, documentation and instructor-led training programs. Completing over 6,000 projects over its 28 years, MLink clients include Microsoft, Pizza Hut, FedEx Office, Kimberly-Clark, Mary Kay Corporation, Children’s Health, Toshiba, and T-Mobile among other corporations. Expertise includes learning design in consultative sales training, retail sales and store operations, management and leadership, new product launches, onboarding, software systems, compliance, code of conduct, customer service, safety, engineering and technical skills development. MLink has won 54 top industry awards for its clients, including nationally-recognized Brandon Hall Gold, Silver and Bronze Excellence Awards. Contact getstarted@mlinktech.com. Regan Smith, President. Please contact Fred Brown, DBC President, at fredalanbrown@gmail.com with any questions or interest in sponorship of this event.